SUPER DRAGON BALL HEROES WORLD MISSION releases today! We are happy to announce the release of SUPER DRAGON BALL HEROES WORLD MISSION for PC digital. SUPER DRAGON BALL HEROES WORLD MISSION is a strategic card battle game featuring over 1000 cards and 350 characters from the entire DRAGON BALL franchise, including DRAGON BALL Super, DRAGON BALL Xenoverse series, DRAGON BALL FighterZ and more. 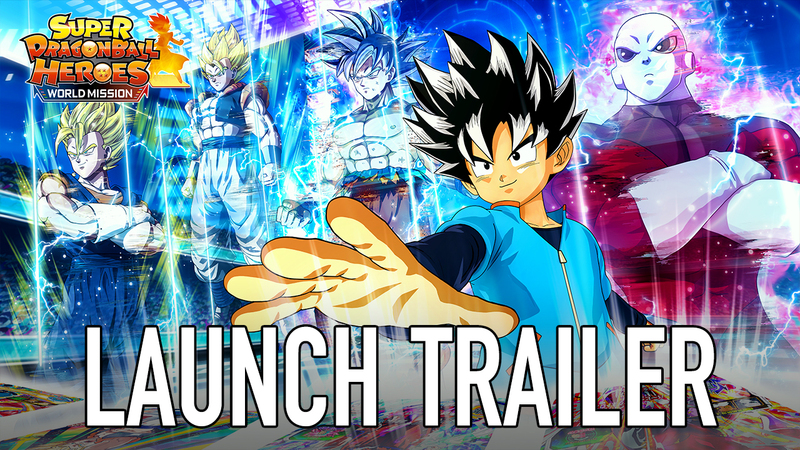 Embark on an epic journey, playing as Beat - A budding DRAGON BALL card game prodigy trying to save the real world from the threat of heinous villains from the virtual world!